These reviews aren't going to write themselves. I am beginning to develop a history with Skechers Performance Shoes. 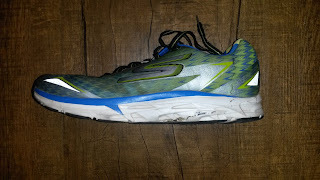 The original Forza was my third Skechers Performance shoe and quickly grabbed my interest due to their unique stability design. I'm always happy to see a company attempt to work with the foot without going super minimalist or trying to overcorrect (now I have lost count of how many Skechers shoes I have run through). 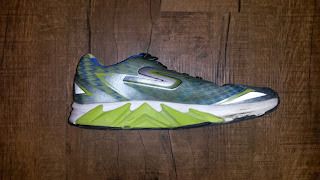 My original review can be found HERE and I later on found the upper to fit a little narrower than most Skechers Performance shoes, was a little heavy and was not the fastest shoe. Then along came version 2. The core of this shoe has remained the same (although there is a midsole foam update) however the feel, responsiveness and upper have undergone some great updates. How so? As always, let's talk. Much of the sole is the same as version 1, but I noticed some immediate differences. The midsole feels slightly softer compared to version 1, but seems to respond better at a variety of speeds. The initial version only felt good at slow speeds and did not respond well to pace increases. 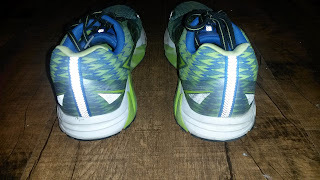 The increased bounce of the Forza 2 responds well at 8min and 5min per mile pace during a progression run (although I would normally use lighter shoes for faster workouts). So versatility has definitely increased, although this continues to be mainly a long distance trainer as the weight continues to be over 11 ounces. Due to the improvement in midsole feel, it no longer feels this heavy, but if you are looking to go faster, definitely check out the Razor (REVIEW), GOrun 5 (REVIEW), or GOmeb Speed (REVIEW). 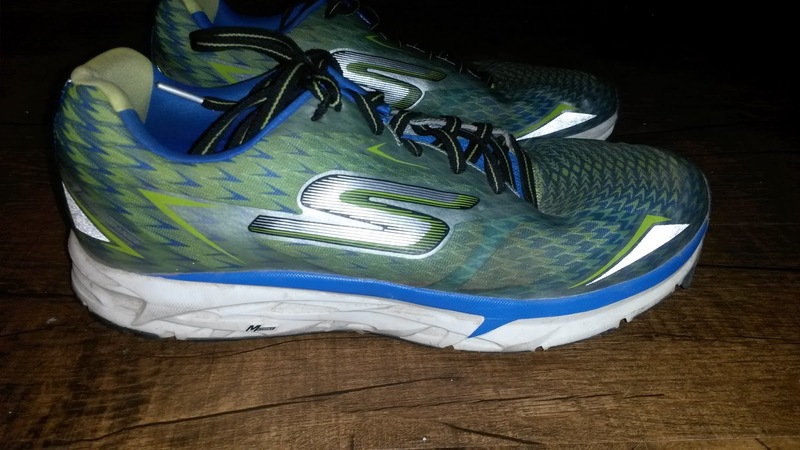 As this is a stability shoe, Skechers has something of a medial post to support the arch. Like the previous version, I wouldn't call this a full on post. Rather there is a slightly different density of foam the runs the full medial longitudinal arch. I talked about this with the previous version, but I love the fact that the post follows the shape of the arch. Yes a post is a higher density material that is supposed to not only provide a contrast, but help “guide” the foot (whether that works is up for debate). 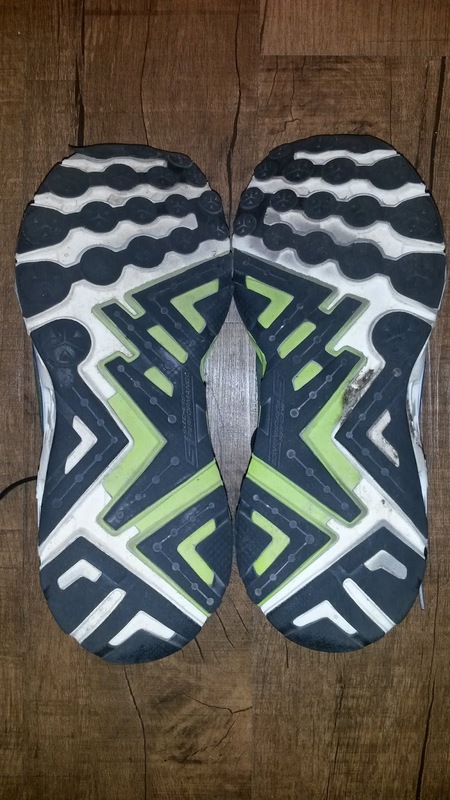 The difference in density between the medial midsole material and lateral is not very great, so instead of being an extremely dense, overly supportive, irritating medial post, the system that Skechers uses works more as prioprioceptive feedback into the arch (reminds you something is there and you have an arch). Does it provide stability? Yes. It is denser than the lateral material. Is it aggressive stability? No. 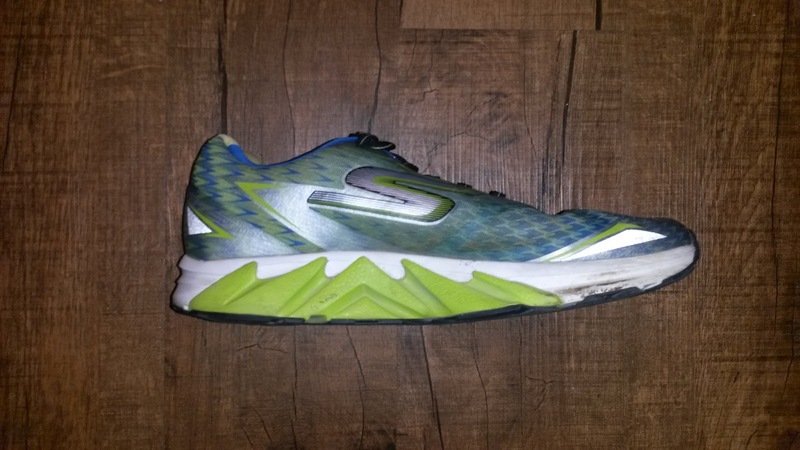 This is a shoe that will work for both neutral and runners that need stability. The additional stability element comes from the wider and thicker base throughout the shoe. So again this is a versatile shoe. Don't be afraid to try it as it will cater to a variety of runners. And now that beautiful outsole. Skechers is doing better in terms of durability, but the Forza continues to have the most durable outsole of any of their shoes. I have two pair that each have 300-350 miles on them and while there is wear, they still have plenty of life left on them. The increased density of the outsole makes this shoe very durable and you are sure to get a high number of miles on them. There does seem to be a difference in density between the outsole and midsole. 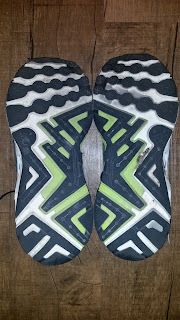 The outsole has stayed relatively the same, whereas the midsole feels as though it has been softened (a little). Whether this is what contributes to the dramatic difference in ride and responsiveness is up for debate (as well with my continued education in material science and biomechanics). The midfoot M-Strike is still present in the Forza 2 as well as a rockered sole. This definitely helps roll the foot forward, although for heavy heel strikers (do not start a footstrike debate here. Look at hip mechanics before ankle landing patterns for performance and injury prevention. They are both important) it can feel like you get a bit of a flat tire hitting the bump from the back. From posterior midfoot forward the ride is VERY smooth, probably one of the more smooth riding shoes I have experienced and you can thank the rockered sole for that. We have discussed the foot rockers before on this blog (heel, ankle and forefoot) and Skechers does a great job of helping them without extreme rockered soles like early Hoka shoes (they are much better now thanks to increases in flexibility of their midsoles). The upper is were major changes in this shoe have been made. Gone is the heavy feeling, narrow ish upper. In place is a smoother feeling, more supportive, slightly thinner upper that fits much better to the foot. The Forza 2 is slightly less pointed in the toebox area, which definitely widens the fit up front. However, the upper is now reinforced on the lateral sides with a laminated material that does a great job of holding the foot without being the stiff material that takes skin off. In the midfoot area, there is increased foam and overlays that mold to the foot very well without feeling heavy. 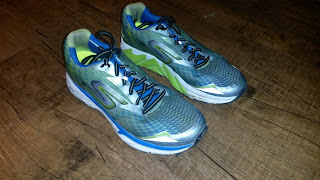 Most seem to be internal and luckily Skechers has NOT attempted to go in the direction of the Brooks Nav-Band. In the heel there is a light and flexible heel counter that also forms well to the foot with causing any major chaffing issues. The change to a slightly thinner synethic upper does wonders for breathability of the Forza 2. The decrease in thickness yet increase in light overlays definitely makes a much better fit. The Forza 2 does fit fairly true to size, so I would go with what you normally wear in other trainers. Durability wise I have not had any issues with the upper (even after +300 miles). There have been no tears or loose seems (unlike version 1) which may be due to the new overlays. Again this is one of the most durable shoe shoes in the Skechers Performance line (the trade-off being that it is the heaviest). I honestly am not the biggest fan of the midfoot bump anymore. 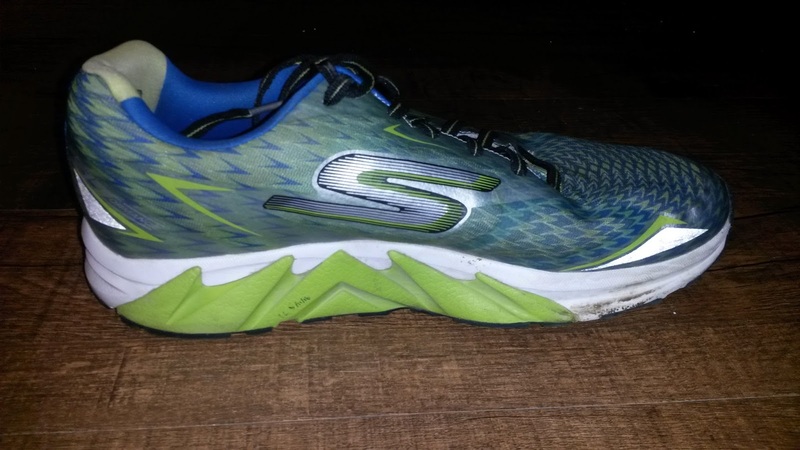 It is a unique feature, but I think there is a reason it is disappearing in most of the 2017 Skechers Performance shoes. I have nothing against a rockered sole, as that kind of shoe can do fantastic things for individuals with stiff joints due to a variety of issues. 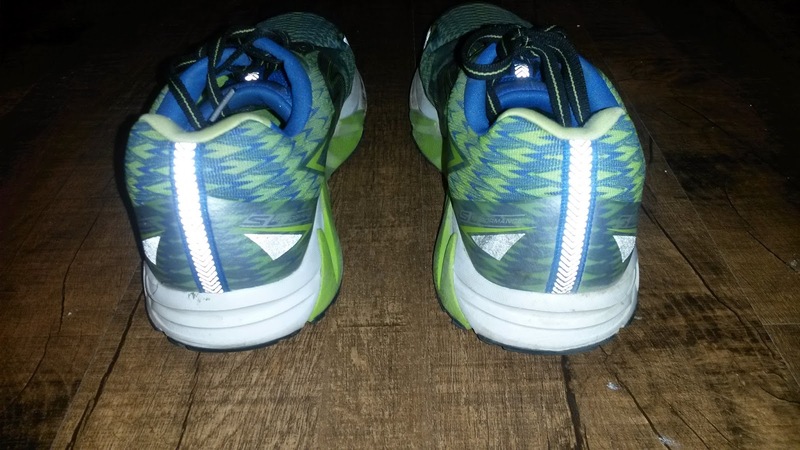 Hoka and Skechers have been great for older runners with arthritis or other joint stiffening issues in the foot as it helps them continue to achieve the forward progression normally provided by the foot rockers (which in there case no longer work at full capacity). The midfoot bump is a reminent of a time when everyone thought changing your footstrike was the key to performance and injury prevention. While there are some factors related to footstrike, the ankle and foot is part of a a much larger kinematic chain and no one joint is going to make you a world record holder or injury proof. A weak one can definitely cause an injury, but performance comes from the whole body, not one segment. The same thing applies to the craze about the glute max in injury prevention and sport performance. Yes it is a fantastic hip stabilizer and power generator at the hip. However, you cannot forget about the power generation potential of the quadriceps, hamstrings, and adductors (especially the magnus per a recent post of mine HERE) when it comes to power generation at the hip and lower extremity. The glutes may be a weak link as many people seem to not be aware of how to use them (including several fast but injured elite runners I have evaluated recently), but they are not the key to performance. The keys to performance are making sure everything is strong, that the body is working as a unit and transferring forces appropriately, that the muscles and tendons have adequate strength to produce the power necessary to achieve motions, that the individual has enough rest to recovery from training and many more factors that if I go list off I'll end up writing a book that was supposed to originally be a shoe review but then I went off on a massive tangent and now this sentence needs to end. I really like this shoe, but it needs to lose some weight. Not that much, maybe an ounce or so, but 11 ounces is pretty heavy now. 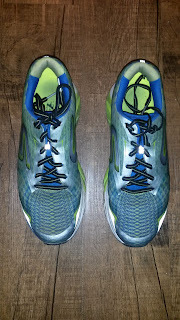 There does seem to be an increase in weight with many stability shoes in the last year, most recently being the Nike Structure 20 (back up to 11 ounces...). That being said there is not a major, thick medial post in this shoe, so really isn't justified being that heavy. The continued use of the midfoot bump does make this shoe unique, but a 10ish ounce stability shoe may be more competitive on the market. So do I like this shoe? Yes. It is one of my favorite stability shoes. It is very durable, the upper fits to the foot well without being heavy and the rockered sole makes the ride smoother. The midsole change has made this shoe more responsive to pace changes and not feel nearly as heavy as the previous version. So is it worth upgrading from the Forza 1? While it is the same shoe in spirit (8mm drop, 11oz, stability trainer) it has a different fit and ride. So definitely give these shoes a look along with the rest of the Skechers Performance 2017 line. These shoes were provided free of charge in exchange for a review. I put at least 75 miles on trainers and 25 miles on racing flats. 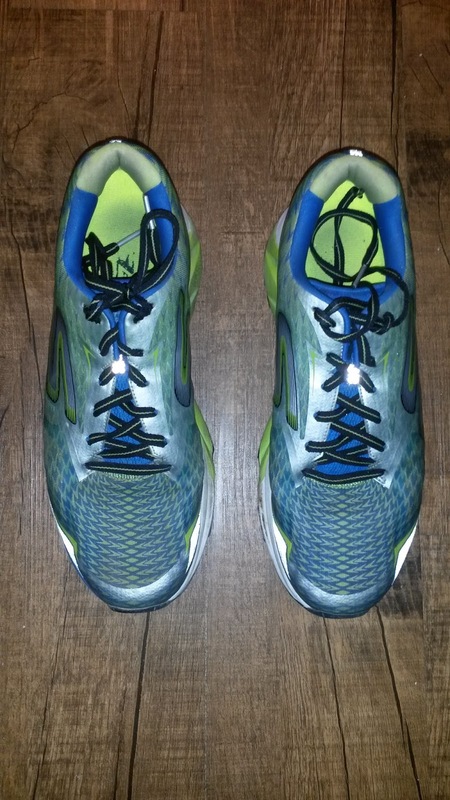 Currently I have two pair of Gorun Forza 2 that have at least 300-350 miles each on them. 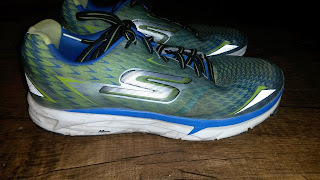 A big thank you to Skechers Performance for including me in the development of such cool new serious running shoes. Look for them to make some big changes in the Running Specialty market in 2017-2018.